Easier Bike Trails: Village Trail, Gitalong Road, Lucy’s Loop, Cub’s Way. Not too steep or technical. Kinnikinnick and Sunlight trails, on the high east side of the mountain. 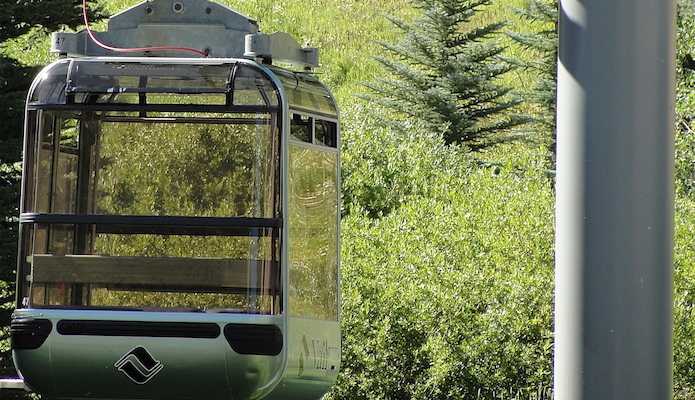 To access the route, take the summer chairlift up to The 10th/Mid-Vail landing. Start on the Kinnikinnick trail and ascend 1.4 miles up to the ridgeline where it meets the slightly more challenging Sunlight trail. The Sunlight trail winds east up the ridge to the Buffalo’s landing, which has great views at 11,250 feet. Descend the same way you came for a round trip of 4.4 miles. Vail Village. Then chairlift access.